Theo has several different lines under their banner, and this one is part of the "3400 Phinney" line. 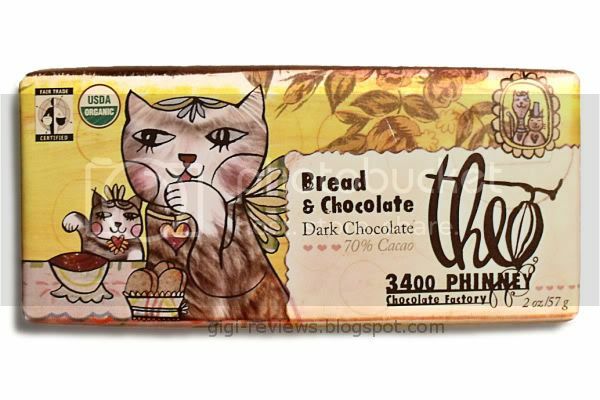 Admittedly, what grabbed me at first was the cute package illustration of the cats (yes, there's my inner crazy cat lady poking out and rubbing her head on things), but really it was the combination of bread and chocolate that sold me. Once again I have Mr. X to thank for this particular food fetish of mine. One of his favorite snacks is to take french bread and dip it into hot chocolate. I know it does not sound good...but man, it is tasty. And this bar contains toasted bread crumbs and salt in dark chocolate. Theo chocolate is also certified USDA organic and certified Fair Trade. They are so dedicated to their craft that they control every aspect of the process, from growing the beans to actually making the bar. All of which certainly has its merits...but how did it taste? The aroma is all dark chocolate -- but there also a hint of something that smells like Demeter's "Dirt" fragrance. 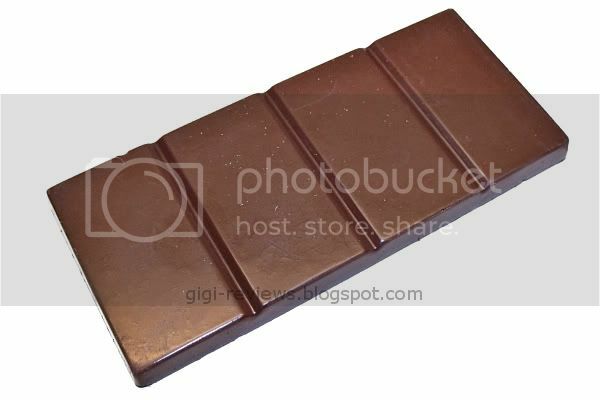 For a chocolate as dark as it is (70%), there isn't really much snap. 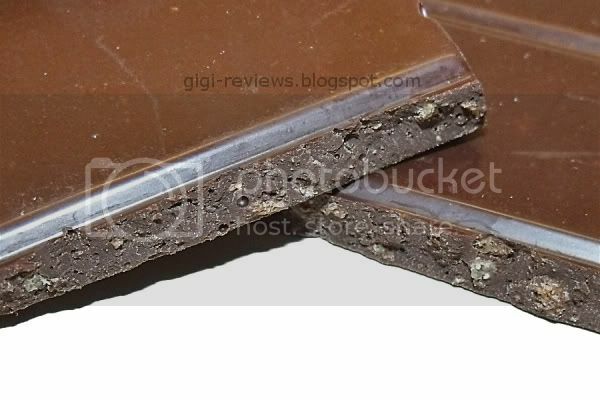 The chocolate just sort of breaks...and it is on the dry side. True to the smell, it is a very earthy tasting chocolate. I hate to keep going back to dirt, but it does just have a soil-like taste to me. (If it is any consolation, I mean that as in deep, rich, coffee ground looking dirt, rather than dry, dusty country road style dirt.) There is also a kind of "green" flavor, like fresh grass. The bread crumbs: You don't really see them -- but you feel them in your mouth and taste them. The best thing to tell you is that it's like someone crumbled Ritz crackers into the vat of melted chocolate. What they did do excellently was the salt. It was the perfect amount. Had I been more into the other flavors, it would have really set them off. I wanted to like this bar. I really did. But in the end the chocolate was just way too dry. And I couldn't get into the deeply earthy flavor at all. In fact, the overall effect was quite disconcerting. If you had to deal with a childhood bully who stuffed mud into your mouth during recess, this bar will probably bring back unpleasant memories. But hey, the salt was good. Be sure to check out Cybele's review here. She liked the bar way more than I did. Certified USDA Organic, Certified Fair Trade. Well that just shows you can't judge a candy bar by it's cover. Even though it has cats on it. Really adorable cute cats. oh darn. It's DARK choco. Bummer!!! I wanted to feel the breadcrumbs in my mouth too. You would think that Cats would make everything better. Josie: It's one of those things that sounds better then it actually worked out to be. But if you get the chance, try the Hazelnut Crunch and the Fig, Fennel, and Almond versions. They're HEAVENLY.